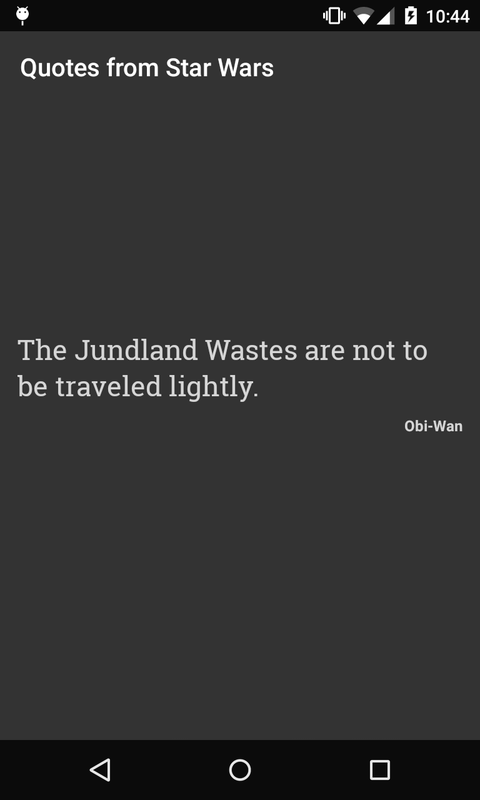 Quotes from Star Wars features fun and memorable movie quotes from the Star Wars series! Tap on the screen to pull up a random quote from the movies. Relive your childhood and the glory days of film making, or get prepared for the upcoming new Star Wars movies! 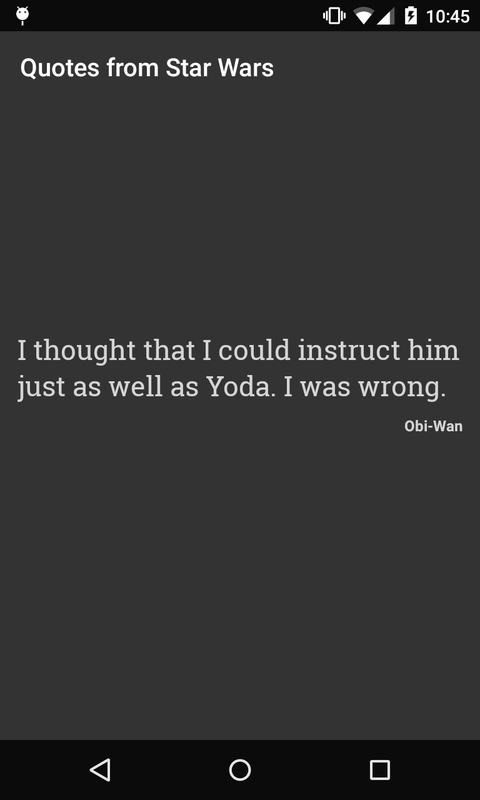 Either way, Quotes from Star Wars is a must have app!